Ask the RD: Best and Worst seafood choices? 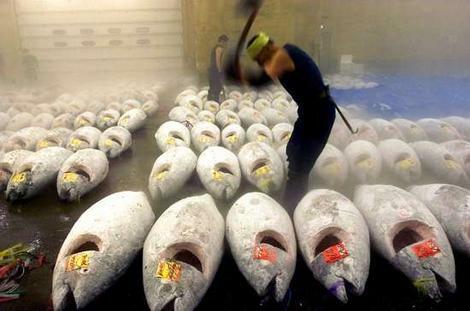 The worst fish to eat are very large fish like Bluefin Tuna, Chilean seabass and swordfish caught from any ocean because they are high in mercury and severely overfished to the point that humans are driving these species to extinction. Also, eel available on the US market due to high mercury and PCB and the fact that they are farmed unsustainably. I hate to say it, but most shrimp is on my avoid list as well, unless it is specifically wild caught from the British Columbia or Oregon or farmed in recirculating tanks in the US. The majority of other shrimp-most of which is imported from boats or farms in Mexico or Asian countries- causes habitat damage and kills tremendous amounts of other valuable animals (bycatch) in the process of catching or farming the shrimp. We’re talking 10:1 ratios of bycatch:shrimp catch. While this may not be explicitly unhealthy for our bodies to eat, supporting these types of unhealthy fisheries cannot continue to be beneficial for human survival… (for a great image showing this, see p. 37 of The Monterey Bay Aquarium’s State of Seafood Report). Which are the best fish to eat? There are good choices on both the wild-caught and farmed sides. 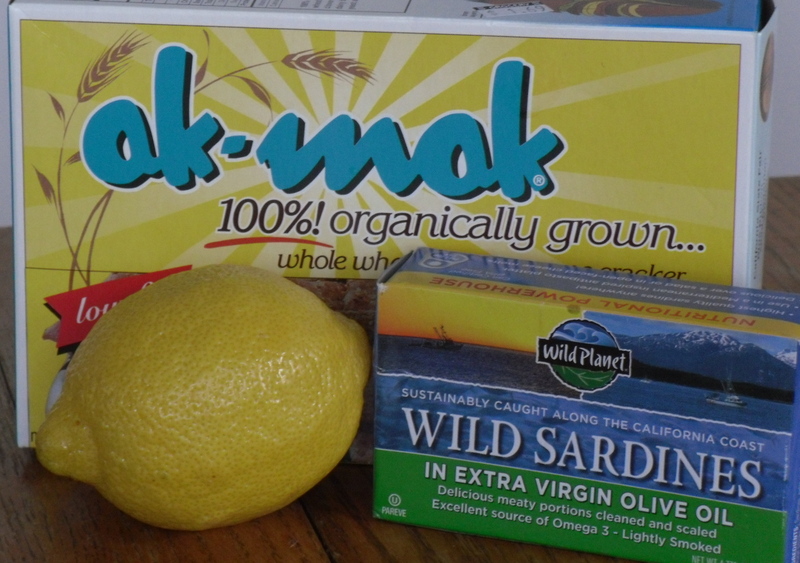 Sardines with fresh lemons and crackers- one of my favorite snacks! For the wild-caught, those that are low on the food chain- smaller and more abundant species that aggregate in schools like sardines, anchovies and squid are the best because they are shorter lived so they accumulate lower amounts of contaminants. Wild caught salmon from Alaska is another good choice because the populations are very well managed and although these fish can grow very large, they tend to be low in PCBs and mercury and contain very high amounts of those omega-3 fats we are all interested in getting more of on our dinner plates. For farmed species, tilapia and catfish farmed in the US and all shellfish are great choices because they are also low on the food chain – they are herbivorous and do not need to be fed a lot of protein that comes from the ocean. Shellfish (clams, mussels, oysters) are pretty much always farmed sustainably- they filter the water they inhabit to pick up nutrients so these types of farms rarely disturb their surroundings. Many people wonder “if shellfish are filter feeders, do they sequester a lot of contaminants in their bodies?” and if this is safe to eat. It is a fact that shellfish are flushed with clean water after harvesting to ensure any heavy metals or other undesirable are flushed out before put on the market, so yes they are a great choice! As always, let me know if you have any further questions.